1 bedroom Self-Catering Cottage in Bratton Fleming. Located just 1.5 miles from Exmoor. Ideally located to explore North Devon attractions. Views from the lounge. Walks around our 11 acres of land with stream and Exmoor views. 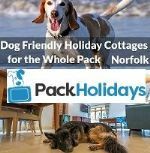 We provide a “Dog Pack” with essentials to make your stay in North Devon so much easier. Sleeps 2. 4 bedroom dog friendly holiday property set in a valley beneath the village of Bratton Fleming in North Devon with mature riverside gardens that lead into the open countryside, and has extensive woodland views..
1 bedroom dog friendly property - occupies a superb position just above the delightful village of Challacombe in Exmoor National Park, with beautiful countryside views from both the front and back. The cottage sleeps up to 2 guests in one bedroom which has a king-sized, four poster bed. 4 bedroom dog friendly Self-Catering property in Parracombe, right on the edge of the forest makes it a good starting point for some stunning walks. There are a number of walks of varying difficulty around the Heddon Valley. Aga in teh Kitchen and wood burner in the lounge. 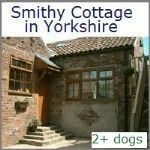 dog friendly Self-Catering cottage - sleep 2, There is a large enclosed courtyard. The village of Porlock is a traditional Exmoor working village, it boasts three pubs, two grocery shops, a traditional local butcher, shops and tea rooms. 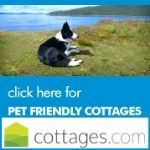 2 bed dog friendly holiday cottage - sleep 4. Beautiful country cottage offering a luxury getaway with all modern conveniences. Porlock Weir is approximately 1.5 miles from Porlock and is well worth a visit. There are two restaurants (The Cafe and Miller's at the Anchor), a pub (all three are dog-friendly) . 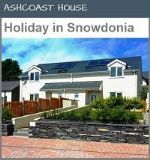 Sleeps 5 | 2 dogs allowed | 2 bedroom. This Self-catering property is in a quiet setting, you'll lulled to sleep with the gentle and relaxing sounds of the stream that runs alongside the front of the house. With Exmoor national park on the doorstep you'll find hours of walks to do. Sleeps 5 | 2 dogs allowed | 3 bedroom. The holiday property has a lovely spacious feel to it, the open-plan living/dining/kitchen area is a great space with high vaulted ceiling and wooden beams. Located close to the popular village of Dulverton where you'll find a good selection of shops and places to eat and drink. Lots of dog walks nearby too! Sleeps 6 | 2 dogs allowed | 3 bedroom. 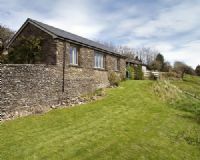 This Self-catering property is just short walk from Porlock an Exmoor village. Situated in a delightful location on the edge of the village and off a private no-through road. It is positioned to take full advantage of the wonderful views over farmland, the marshes and to the coastline. 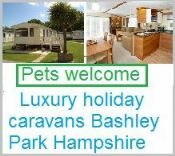 Sleeps 4 | 2 dogs allowed | 2 bedroom. This holiday cottage is located in the village of Bratton, 1 mile from the coast at Minehead. This lovely thatched cottage is detached, full of charm and character and has been furnished with quality items and fittings. The property will make an ideal base for exploring Somerset and Beyond. 1 bedroom - sleeps 3, Single storey holiday cottage situated within a large private garden. In an ideal location for walkers and cyclists looking to explore the area, or ideal for a relaxing break. The village of Porlock is a short drive and is a traditional Exmoor working village. 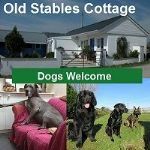 3 bedroom Self-Catering cottage allowing dogs. Direct access to one of the most scenic sections of the South West Coast Path. The property is situated almost exactly halfway between Porlock and Lynmouth (approximately 6 miles to either). Both are well worth a visit during your stay. 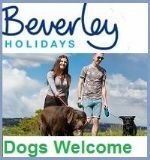 Dog Friendly Holiday Accommodation Nr. 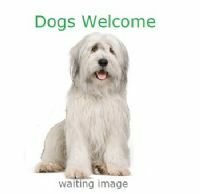 Dunster, Somerset, dogs allowed. Well equipped Grade II listed cottages are set in the grounds of 16th century Ellicombe Manor. Clustered around a cobbled courtyard they enjoy shared use of an outdoor heated swimming pool. 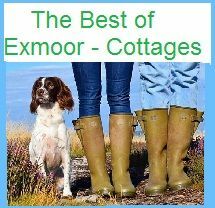 Ideal for exploring Exmoor. Self-catering cottages on Exmoor. Family run business with over 130 holiday cottages on Exmoor National park. Many are dog friendly. 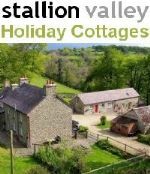 We've got the best selection of cottages on the National Park. 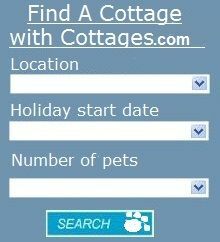 Pet Friendly B&B in Minehead, Somerset. Start the day with our delicious home cooked breakfast of locally sourced produce. All rooms are spacious, warm and comfortable with magnificent views of Room Hill. 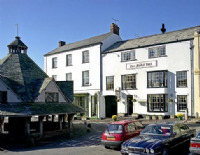 Pet Friendly B & B in Porlock, Somerset within Exmoor. Log burning fire to help you unwind on your holiday. children, walkers and cyclists welcome. Open all year round. comfortable beamed bedrooms each with modern en-suite facilities.